The Bharatiya Janata Party has decided to target Congress President Sonia Gandhi in the Parliament in connection with the Rs. 3,600 crore AgustaWestland deal for VVIP choppers. According to the observation of an Italian court, Milan Court of Appeals, there was "reasonable belief that corruption took place" in the 2010 VVIP helicopter deal and reportedly, former Indian Air Force chief SP Tyagi was involved in the corruption. A 225-page judgment produced by the court reportedly consists of 17 pages that explain how the court has determined that Tyagi had been involved in corruption. The court's observation also mentions that bribes were paid by the Italy-based firm AgustaWestland to Indian officials to get the $530 million contract for the supply of 12 choppers. A report from ET states that according to the Italian court, a part of $10-15 million in illicit funds had crafted its way to Indian officials. "The destination - at least partial - of the illicit funding to the payment of the price of corruption of Marshal Shashi Tyagi for his intervention in favour of AgustaWestland for the VVIP helicopters competition is validly proven," the court observed, reported the Economic Times. If the media reports are to be believed, Milan Court of Appeals' order reportedly has also accused the previous UPA government of not sharing critical documents with investigators. Senior Congress leader AK Antony was the defence minister when the chopper deal with the above mentioned firm was sealed in February 2010. 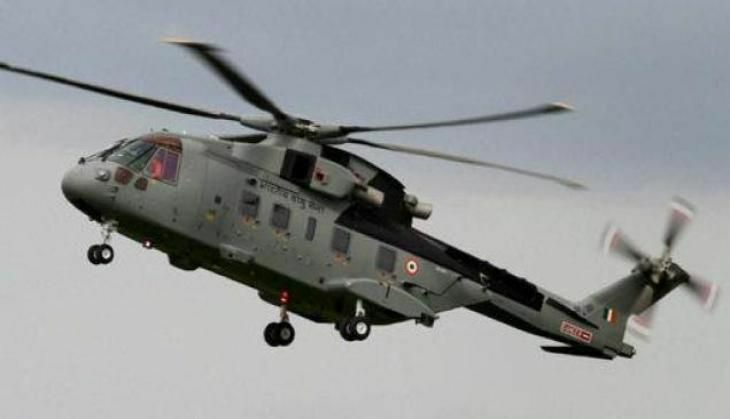 In the wake of recent revelation and court's observation, the Narendra Modi government has decided to corner the Congress party over the Agusta Westland VVIP chopper case during the second leg of the Parliament's Budget Session. Union minister Ravi Shankar Prasad on Tuesday took a dig at Congress and told ANI, "Now that bribe-givers have been convicted, what should happen to the bribe-takers? Will Mr Antony (former defence minister AK) publicly give a statement on this? Will he accept that his partymen are involved in the scam?" The Rs 3,600 crore contract of AgustaWestland to supply 12 VVIP choppers to the Indian Air Force had been scrapped by the Indian Government as there had been allegations of paying kickbacks to Indian agents. The deal was canceled in January 2013 after which the case was assigned to CBI to investigate whether kickbacks were paid to Indian officials.